On Friday 22 September Apple will launch the first Apple Watch with cellular. 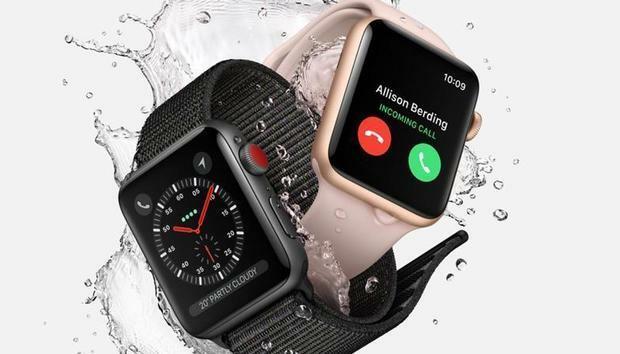 The Apple Watch Series 3 with cellular will be able to get its data from a mobile network - so you will be able to leave your iPhone at home. But what will you actually be able to do with your Apple Watch with cellular if you don't have your iPhone with you? Read our Apple Watch Buying Guide for more information about the Apple Watch. At launch there is only one third party Watch app that is working over cellular. Apple announced that WeChat would work with cellular during the September event keynote. Hopefully it won't take long for other app developers to catch up and update their apps to take advantage. The Apple Watch ecosystem does need a bit of a boost. Currently many of the apps on the Apple Watch are a restricted version of the iPhone app. While the Watch interface restricts some of what you can do, it does feel like many of the apps aren't even utilising the features that are available to them. There are also a lot of apps that are missing from the Watch. For example, Whatsapp doesn't have a Apple Watch version of its app, although you can set WhatsApp Notifications to appear on your Watch. Amazon, Google and Skype have all discontinued their Watch apps. FaceBook has a watch version of its Messenger app, but it is glitchy. We hope the arrival of the cellular Watch will be the incentive needed to reboot the Watch app ecosystem. « Should I buy the Apple TV 4K?